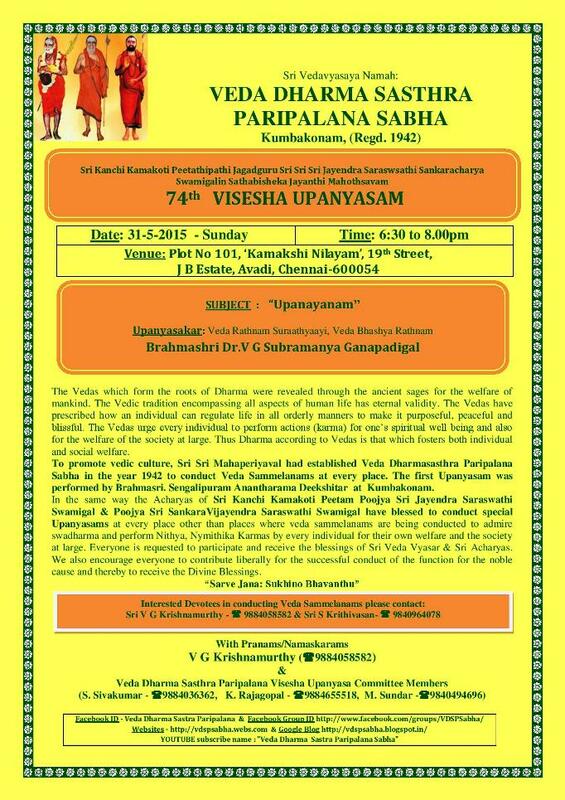 With the Blessings of Their Holinesses Pujyashri Jayendra Saraswathi Shankaracharya Swamigal and Pujyashri Shankara Vijayendra Saraswathi Shankaracharya Swamigal, Visesha Upanyasams will be conducted by Veda Dharma Shastra Paripalana Sabha on 31 May 2015 in Chennai. In the same way the Acharya of Sri Kanchi Kamakoti Peetam Poojya Sri Jayendra Saraswathi Swamigal & Poojya Sri Sankara Vijayendra Saraswathi Swamigal have blessed to conduct special Upanyasam every place other than the places where Veda Sammelanams are being conducted to admire swadharma and to perform Nithya, Nymithika Karmas by every individual for their own welfare and the society at large. 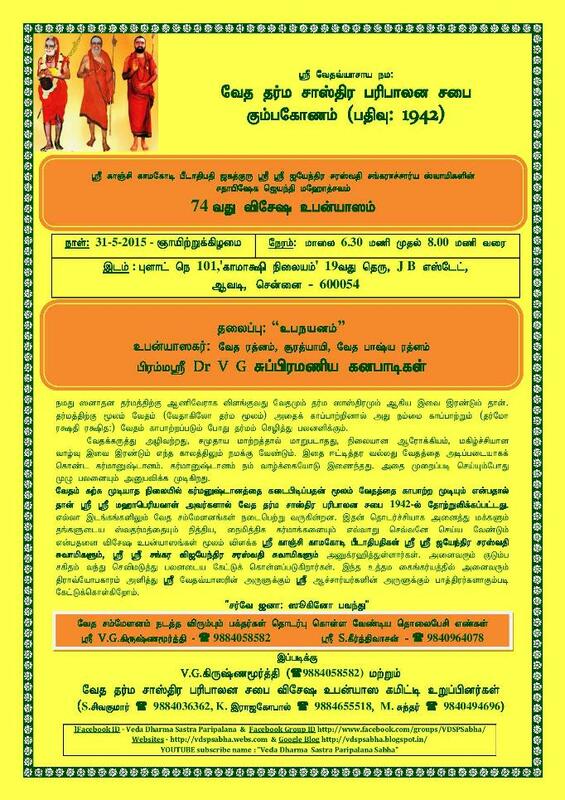 Everyone is requested to participate and receive the blessings of Sri Veda Vyasar and Sri Acharyas.